STROUDLEY ‘A1X’ 0-6-0T No. 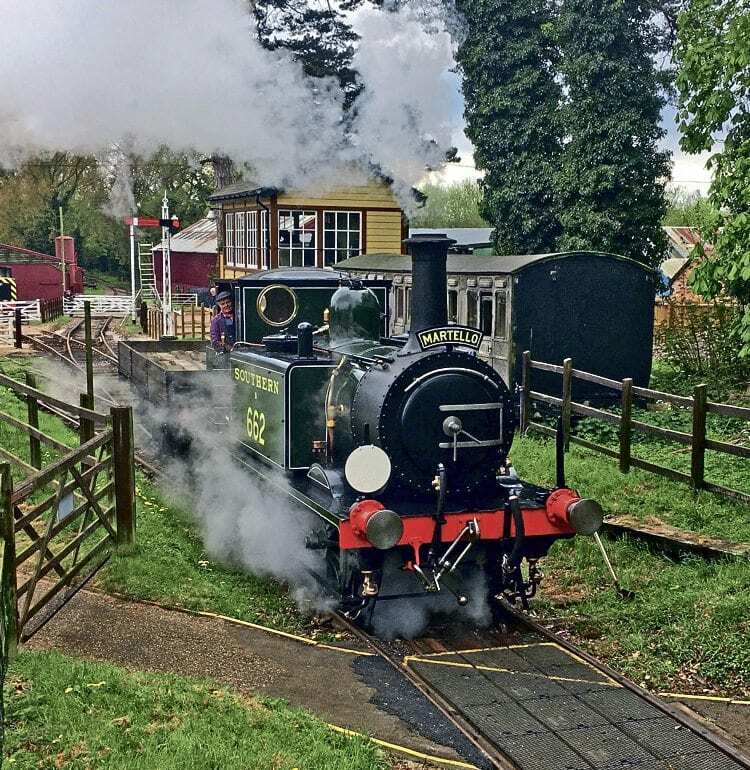 B662 (Martello) was officially welcomed back into traffic at Bressingham Museum’s Heritage Steam Gala on April 29. The 1875-built London, Brighton & South Coast Railway ‘Terrier’ has been the subject of a comprehensive overhaul and has been turned out in Southern Railway olive green livery for the first time since 1948. While smart in appearance, the livery is technically incorrect for the locomotive, which was fitted with the larger Isle of Wight-type bunker by British Railways in 1961 when employed on the Hayling Island branch. The ‘Terrier’s’ return marks the first standard gauge steam operations at Bressingham for four years, with the museum having restored an ex-LMS brakevan to provide rides during steam weekend.